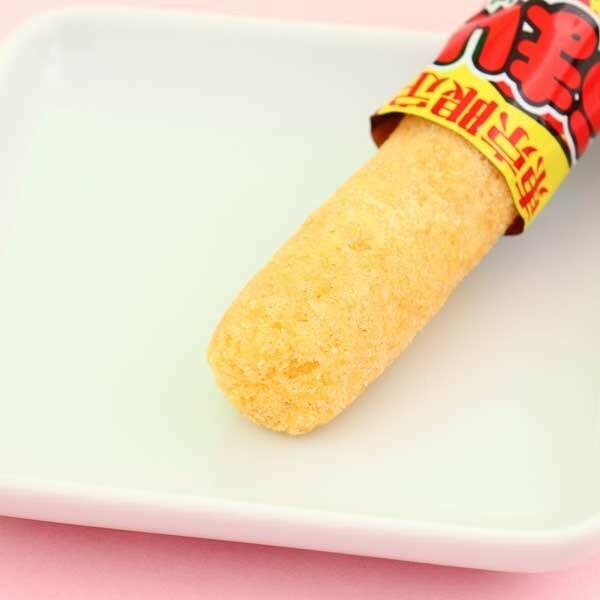 This savory and crunchy puffed corn snack stick is called Umaibo, which is a super famous Japanese snack! It tastes just like sugar coated apple pie, also loved by many Americans! 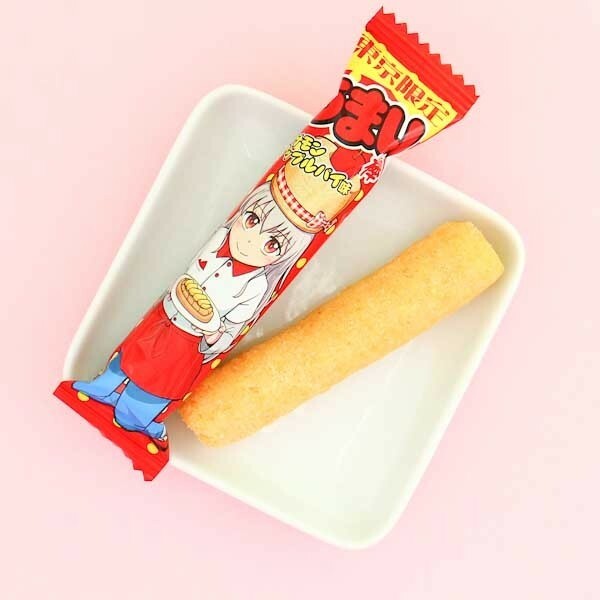 The packing is decorated with the cute Umaemon character, who is dressed like a chef and has an apple peeking from his chef's hat! So funny and tasty!